What do you really know about kitchens? Apart from all that effort you had put to choose the right modular kitchen for your apartment and that you cook there, did you realize that your kitchen racks are full of spices for which people waged wars? That, those spices your kitchen houses were part of many countries’ economies? Yes. The search for flavors had caused a huge influence on the world. There had been trade, there had been war and there are still thriving economies that result from the trade of spices. So, why do you think that people over the time have been enamored by spices? The reason spices have a rich history associated with them is that they have huge medicinal properties that modern medicine and molecular research has started to discover. They have antioxidant properties, and molecules that have the capacity to heal and protect us. Adding spices has been found to be beneficial for even those who want to shed kilos! Here are seven herbs and spices found in India that heal like nothing else. Used by Indians over the ages, turmeric is supposed to be superior to medicines in many ways. It’s used in curries, and all other preparations of Indian cuisine. The main ingredient that gives turmeric that great medicinal property is called curcumin. It’s produced by the turmeric plant as a secondary metabolite for protection against infection and disease. Molecular research has isolated more than 100 components in turmeric that can be medicinally beneficial. Research suggests that turmeric is better than diclofenac, aspirin, warfarin, metformin, and naproxen! Reduces the risk of cancers by neutralizing conditions and substances that cause them. Helps in treating arthritis, and rheumatoid arthritis. Improves digestion and prevents gastrointestinal diseases. Purifies lungs and prevents respiratory diseases. Reduces risk of neurological diseases like Alzheimer’s disease and Multiple Sclerosis. One of the most delicious spices of India, cinnamon is another spice with numerous medicinal properties. The active ingredient called cinnamaldehyde has some powerful curative properties. It has a powerful effect on the metabolic rate and is full of antioxidants. Here are some health benefits of cinnamon. Prevents formation of tumors and prevents intestinal and colon cancer. Consuming cinnamon tea can reduce the inflammation of arthritis and rheumatoid arthritis. Black pepper of India is one of the best antioxidants. With components like lignans, alkaloids, α-terpineol, and pinene, it has more in each bite than just steam. Loaded with vitamins and minerals, black pepper has numerous health benefits. Rubefacient used in gels and creams. Improves digestion and good for peptic ulcers. Reduces risk of cardiovascular and liver diseases. Loaded to the brim with minerals like iron, manganese, and many other vitamins, the common unassuming cumin that’s used in the kitchen has far more health benefits than you could ever imagine. Here are some of the great health benefits of cumin. Aids Digestion and is a Carminative. It’s taken with hot water for gas troubles. Used in treatment of piles and is a laxative. Relieves stress and is useful to cure insomnia. Has anti-congestive properties, and is used for bronchitis and other respiratory problems. Improves lactation for mothers who are breastfeeding (Should be taken with honey). Gives better cognition and concentration. This is a highly sought after spice that has been used for ages. Cloves are considered to be one of the healthiest foods in the world. Packed with minerals, aromatic and medicinal oils, cloves have an active ingredient called eugenol which is present in its crown bud. Here are a few health benefits of clove. Rubefacient and can be used for local pain. Kills intestinal worms when taken in the form of decoction. May prevent lung cancers in the early stages. Used to treat mouth ulcers and other dental diseases. Used in almost all the cuisines of the world, nutmeg is one spice that is used only sparingly; however, the benefits of it are numerous. Replete with minerals like manganese, copper, and magnesium, nutmeg has many other vitamins and complex molecules that have many health benefits. Reduces the risk of dementia and Alzheimer’s disease. It is supposed to cure insomnia. Reduces pain caused by arthritis. After seeing the benefits of all these spices, you might have changed your opinion that a spiced up diet is better than a bland one. And, yes that’s true! For a healthy life, use spices in your foods, but use them in moderation! 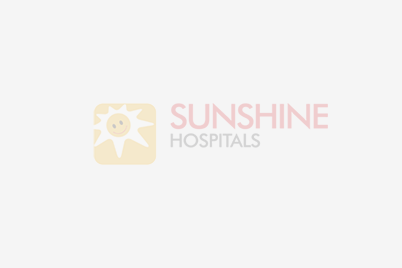 The post 7 Super Cool Spices and Herbs that Heal appeared first on Welcome to Sunshine Hospital Bhubaneshwar.